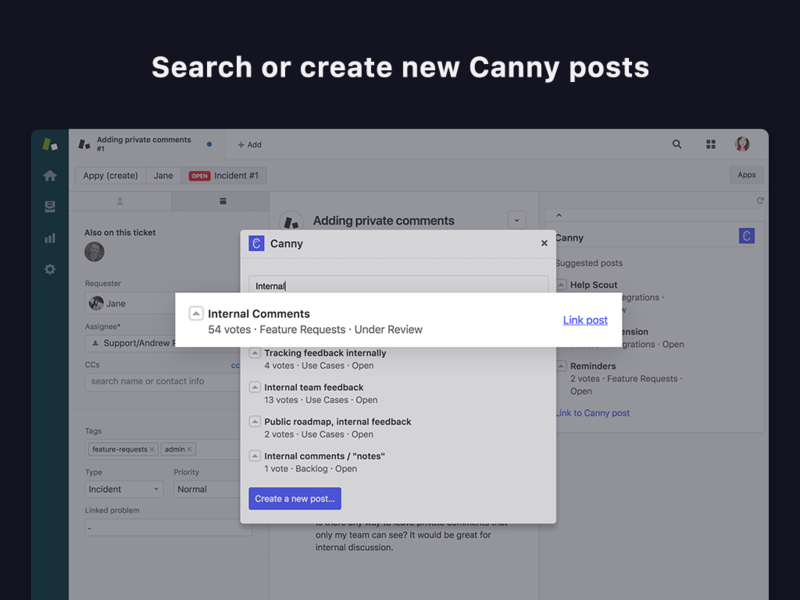 Keep track of customer feedback in Canny. 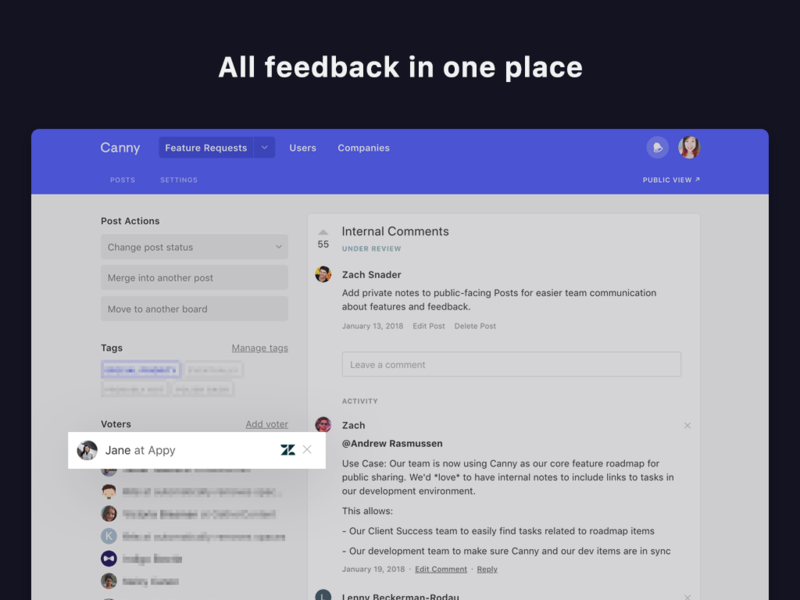 Canny is a customer feedback tool that helps your team make better product decisions. It works by letting your customers post and vote on feedback from within your product. 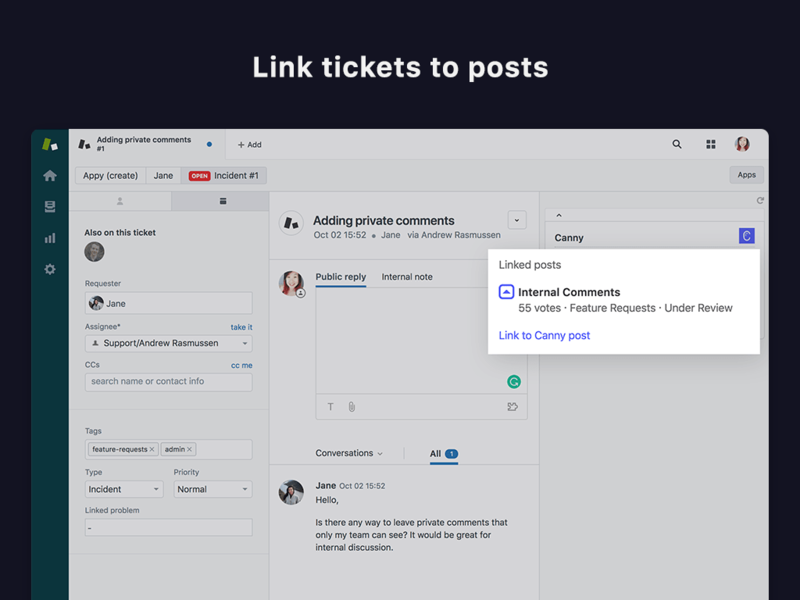 Canny for Zendesk is a two-way integration that lets you link Zendesk tickets with Canny posts. This helps your customer-facing teams relay feature requests to your product team in an organized way. Once your product team makes progress on a feature, we'll automatically send status updates to the relevant customers who want that feature.